Born in 1931, Francisco J. Collazo grew up on his father’s 120 acres of farmland in the mountains of Utuado, Puerto Rico. He idolized his father who is memorialized by a beautiful cliff park on his 500-acre Gunter (Grant) Mountain Farm near Huntsville, AL. In 1955, he married Carmen Ana Rivera. They have three children, Frank L, Joe, and Rosana Collazo, seven grandchildren, and one great grandchild. To contribute to the war effort, Mr. Collazo dropped out of high school at the age of 15 to join the Army during WWII. He also served in the Korea and Vietnam wars. Mr. Collazo retired as a Chief Warrant Officer 4 after 30 years of military service to the Army’s Air Defense programs. In January 1969, Mr. Collazo was presented the Meritorious Service Medal with two oak leaf clusters for outstanding meritorious service. In 1970, he was awarded the Bronze Star Medal and First Oak Leaf Cluster for distinguishing himself in connection with military operations against a hostile force in the Republic of Vietnam. He also received the Commendation Medal with silver oak leaf cluster. 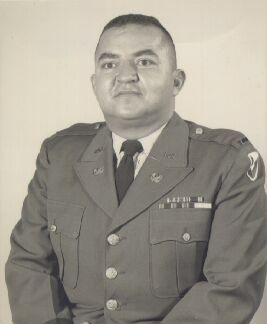 Mr. Collazo is a service-connected disabled veteran. Mr. Collazo enlisted in the Army before he finished school, but he left the army an educated man, knowledgeable enough to become a respected consultant and later to start his own company. He attended many technical schools over a ten-year period and earned sufficient credit hours to obtain the Army equivalency of a bachelor's degree in Mathematics and Computer Science (more than 42 and 34 hours in each discipline respectively) from the Department of the Army. He received a master’s degree in Computer Systems Engineering from the Southeastern Institute of Technology. In 2003, the honorary degree Doctor of Science was bestowed upon Mr. Collazo by the University of Alabama Huntsville. In 1980, Mr. Collazo and his wife Carmen started COLSA Corporation in the garage of their southeast Huntsville home. The two-employee company offered systems analysis and engineering in support of air defense systems materiel development. There was but one goal: to serve the company’s customers with dedication and excellence. COLSA grew rapidly moving from the Collazo’s garage to small offices on South Memorial Parkway in Huntsville to Sparkman Drive and to its current facility in Cummings Research Park. In 1983, the SBA under the 8(a) program certified COLSA as a socially and economically disadvantaged company. In 1988, in recognition of its outstanding growth and excellence in government contracting, COLSA was selected by the SBA as the Regional Small Business Prime Contractor of the Year. And, in the subsequent national competition, the SBA named COLSA the National Small Business Prime Contractor of the Year – a prestigious national honor. In 1991, the Huntsville and Madison County Chapter of the National Management Association named Frank J. Collazo manager of the year in recognition of his outstanding leadership. COLSA Corporation successfully graduated from the 8(a) Program through exceptional growth. Two of COLSA’s largest contract awards were the Royal Saudi Arabia Defense Force contract in 1986 valued at approximately $700M over a ten-year period, and the Fiber Optic Guided Missile (FOG-M) System Integration contract in 1987 valued at approximately $50M. Today, with corporate headquarters in Huntsville’s Cummings Research Park, COLSA Corporation has grown to over 900 employees. The Cogswell Award for Excellence in Security Operations was awarded to COLSA in 1997 and 2008. COLSA is also certified ISO9001, 2000 and CMM Level 2. The State of Alabama selected COLSA Corporation for induction into the prestigious State Engineering Hall of Fame for the year 2004 in recognition of COLSA’s engineering excellence. NASA awarded COLSA Corporation the Small Business Prime Contractor of the Year award for 2008. Also, the 2008 Torch Award for Marketplace Ethics was presented to COLSA Corporation. COLSA Corporation has committed $1M to the University of Alabama in Huntsville to establish the Collazo Endowment for the recruitment and retention of Engineering students at the university. COLSA also has business activities in Washington, DC; Colorado Springs, Colorado; Orlando, Florida; Eglin AFB, FL; San Diego, California; Alaska and Hawaii. Collazo Enterprises, Inc. (CEI) was incorporated on January 2, 1996. CEI was a holding company that owned all stock in COLSA Corporation, Digital Wizards, and FCA Properties. CEI provided administrative services to its subsidiaries. Francisco J. Collazo owned CEI. Collazo Enterprises, Inc. and its subsidiary employees led the way in serving our community through contributions and active participation by the Association of COLSA Employees. © Copyright FJCollazo. All Rights Reserved. Design by MjF.